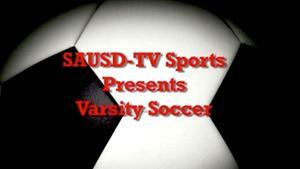 Visit https://www.sausd.tv/ and click the Guest button in the upper right corner. Now log in with your @sausdlearns.net G Suite (formerly Google Apps) credentials. Hover over the Board of Education menu item on the left, then select "Live Stream"
You can click the PLAY button above to watch what's on Channel 31 right now, or scroll down and click to enjoy our online video library featuring the students and staff of the Santa Ana Unified School District. Channel 31 is the only television station dedicated to providing news and information about the Santa Ana Unified School District.To watch our programming live on your home television, please tune in to Spectrum Cable CH. 31 or AT&T U-Verse in the City/Government Channel line-up for Santa Ana. 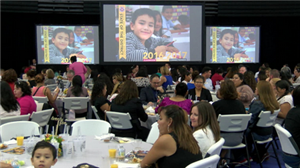 If you are not able to access our live programming, you can still enjoy Channel 31 produced videos and archived shows right here on our website, on You Tube, https://vimeo.com/sausdtv/videos and School Tube at http://www.schooltube.com/channel/sausdtv/. To see your High School Commencement videos On-Demand click "High School Commencements" in the menu on the left sidebar of this page. Keep checking back for updates, we will be adding more stories to this list as they are processed. Please click thumbnail photos or links to play videos below. College Night at Santa Ana H.S. Red Ribbon Week at Valley H.S. 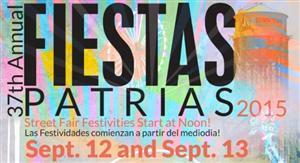 Dr. Stefanie Phillips at Santa Ana H.S. National Night Out at Garfield Elem. Eva G., creator, YouTube's "MyLifeasEva"
Distributes Running Shoes - Mendez Fund. Int. Ribbon Cutting for Jackson Elem. Is Going to Idaho State! 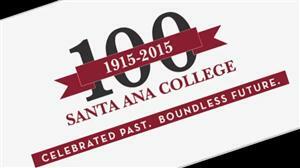 Santa Ana College is 100! on November 15th at S.A.H.S. Santa Ana H.S. - 125 Years Old!